Funeral services for Richard Alexander “Dicko” McAuley, 63, will be held at 1:00 P.M. on Saturday, October 6, 2018 at the United Methodist Church in Wheatland, Wyoming with Pastor Robin Riley officiating. Richard passed away in the early morning of Monday, September 3, 2018 at the Granite Rehabilitation and Wellness in Cheyenne, Wyoming. Dicko was born April 5, 1955 in Wheatland, the son of Charles and Betty Jean (Searl) McAuley. He was born, grew up, and spent most of his days on this earth firmly rooted in Wheatland. On occasion he would pull up stakes and move away, but was never gone for long; he always was drawn back to his family, his lifelong friends, and the mountains he loved so much. 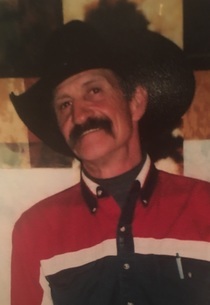 He always enjoyed being on a horse “in the hills” (as he called them), hunting, playing pool or cards with his friends, and living life to its fullest. He was enormously proud of his family’s heritage, place in Wyoming history and loved the cowboy way of life. His sense of humor and kindness touched everyone he knew. Now that he has slipped his mortal coil he is free to once again ride and shoot in the mountains that always drew his gaze. He was preceded in death by his father and mother, Charles and Betty McAuley. He is survived by his brothers, Fred, Edgar, and James; sister, Sallie; four children, Michael, Richard, Mystie, and Kristina; and ten grandchildren.